This looks shopped. I know because I can see the outline and I have seen quite a few in my time. Bloody hell! Someone stole my eye! What has ron weasly got to do with anything, what the google, the house, the wingdings, the WHOLE PICTURE!!! Not tony blair, micheal jackson. 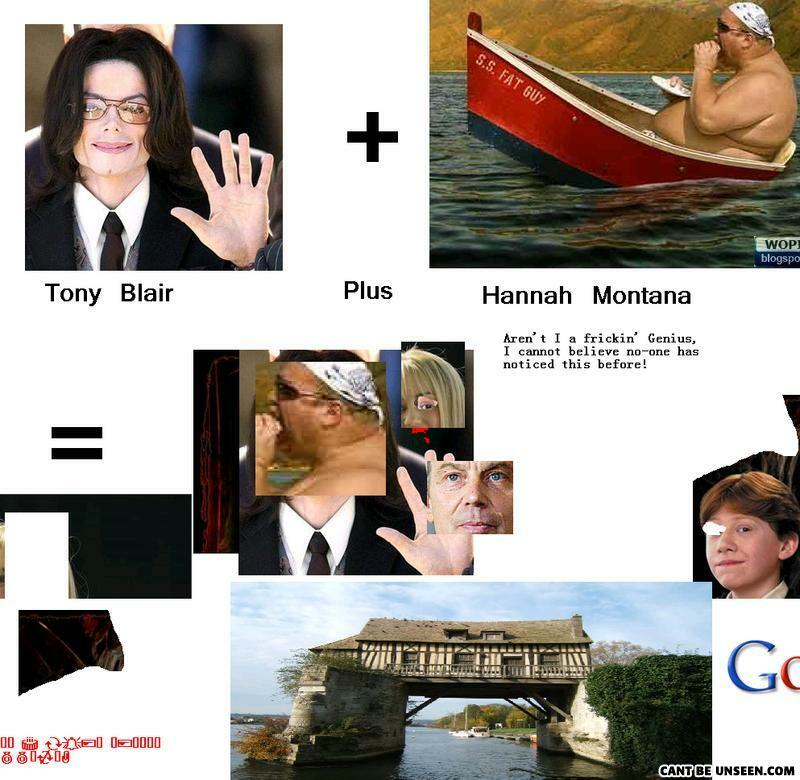 Not hannah montana, some fat guy in a boat. UNseeing isnt the problem. SEEing is the problem. Well, he was right on the "Can't be unseen" part! WTF IS THIS?